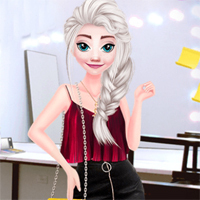 Have a great time with Eliza presenting the weather in this cool new dressup game called Eliza Weather Girl Fashion! Eliza wants to look good while presenting the weather and you can help her. Choose the perfect outfit for each day and make her look cute because millions of people will watch her on TV every day.